In the magical Crystal Kingdom, being eight years old is a big deal for a royal prince or princess—it’s the birthday where you get a unicorn, who becomes your friend and guardian for life. But it looks like Princess Bella’s birthday might not be so sweet. 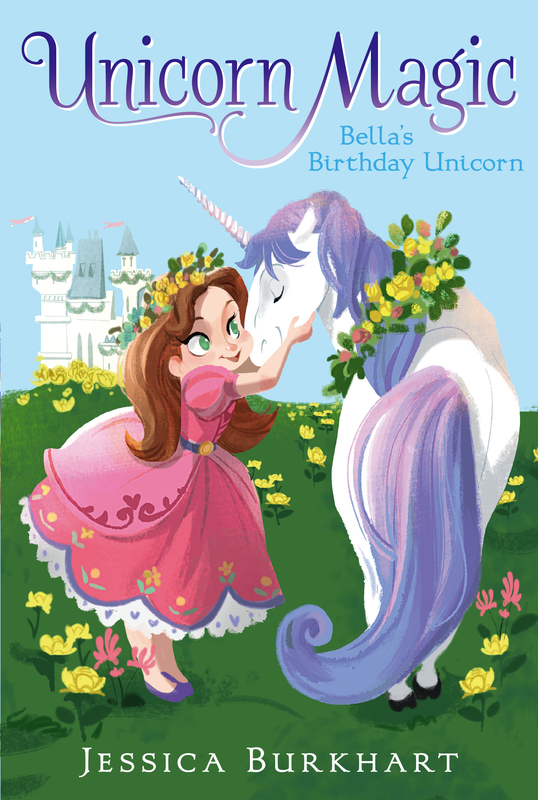 Her BFFs are fighting, her parents seem to be hiding something, and Bella is worried she won’t get matched with a unicorn of her very own. Will Bella’s eighth birthday be a sparkling success? Or will it end up being memorable for all the wrong reasons? Bella’s Birthday Unicorn 1 Sleep? No Way! “Bella! Time to get up for school!” Queen Katherine’s voice came through the intercom system on Bella’s wall. From the window seat in her room, Princess Bella giggled at her mom’s request. Little did Queen Katherine know that Bella had been up since the sun rose over the tall castle gates. In Bella’s opinion, she had the best view of the castle grounds from her room in the North Tower. Early mornings were Bella’s favorite time of day. She loved looking beyond the gates and over the Crystal Kingdom. She went back to her window seat, unable to tear herself away just yet. She looked at the lush green lawn and watched as the red roses, yellow daffodils, and purple lilies pushed up through the ground and opened into beautiful blooming flowers. Every night the flowers tucked themselves into their flower beds and slept under the giant moon. If Bella woke early enough, she could watch the flowers awaken, seemingly yawning and stretching as they reached for the sun. A giant silver fish leaped out of the moat that surrounded the castle. The fish’s fins glittered like a rainbow as it snapped at a dragonfly zooming over the water. The Protection Fish kept any unwanted intruders out of the water and helped the castle’s royal guards. The fish were spelled to appear as menacing sharks to anyone who was not supposed to be on castle grounds. The guards watched over the majestic grounds with fierce wolves. The wolves—almost twice the size of common gray wolves—had incredible senses. If a fierce wolf sensed danger, it would make eye contact with its prey. One gaze from a fierce wolf could hold an intruder in place. This gave a guard time to capture the paralyzed target. In the center of the cobblestone driveway, the fountain flowed with clear water over the family crest sculpture. Thanks to a special shimmering spell, the water glistened as if it was filled with diamonds. Toward the stables, the pastures were full of regal unicorns frolicking in the warm spring sun. Bella could watch the gorgeous creatures all day! She spotted two unicorns grazing together—one with its white coat, mane, and tail shaded green and the other tinted yellow. Kiwi and Scorpio. Her parents’ unicorns. They stood out among the sea of white animals—only royal unicorns changed colors. The rest remained a dazzling white. Unicorns were precious to Crystal and its neighboring kingdoms such as Menon, which related to the moon, and Foris, a kingdom filled with forests. In Crystal and the other kingdoms, a princess’s or prince’s eighth birthday was the most important birthday of all. The special celebration was a birthright that separated a royal from the regular townspeople. Royals were born with an aura. King Phillip, Bella’s father, had explained that an aura was a hazy light that glowed around a royal’s body. Auras only showed themselves during a royal’s eighth birthday and when a royal was being crowned king or queen. Auras came in every color of the rainbow. One color, however, was one that no one wanted. Red auras meant the royal was dangerous. Evil. Even worse, a royal with a red aura wouldn’t get the one special thing available only on his or her eighth birthday—a unicorn. It was tradition that royals were gifted with unicorns. If a royal did not get one, it left them not only without a best friend but also without a lifelong guardian. Both of Bella’s parents had amazing unicorns. Kiwi had been by Queen Katherine’s side ever since her eighth birthday. Photos of baby Bella on Kiwi’s back rested on the fireplace mantel in the main sitting room. 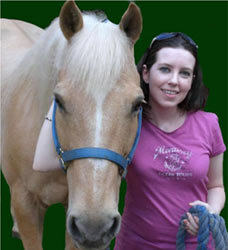 Kiwi’s best unicorn friend was Scorpio, King Phillip’s lemon-shaded unicorn. Bella headed to her canopy bed and straightened the lavender sheets and fluffy comforter. Lavender was one of her favorite colors. Sky blue—like her nightgown and slippers—was another. The colors made Bella happy even when she was in a bad mood. She fixed her pillows on her bed and stepped back to admire her handiwork. Even though she was a princess, Queen Katherine and King Phillip insisted that Bella make her bed. She didn’t mind. Her two best friends in the entire universe, Ivy and Clara, did chores too. Ivy and Clara weren’t from royal families, and Bella wanted to be as normal as her friends. Ivy’s father was one of the groundskeepers at Crystal Castle. Bella had met Ivy one day in one of the gardens—Violette Garden—when they were both six. The two had become instant friends. Bella had asked Ivy to bring any of her friends over to the castle whenever she liked. Ivy brought Clara over to the castle days later, and the three girls were soon best friends. She hurried over to her floor-length mirror and grabbed a brush off her nightstand. She ran it through her light-brown hair, so long it was down to the middle of her back. Before Queen Katherine could call her again, Bella trotted out of her bedroom and darted down a staircase and into one of the castle’s many hallways. Her slippers were silent over the stone floors as she hurried toward the dining room. It was a family joke that Bella had gotten lost in the castle every day until she’d turned six. Forty-two rooms and a dozen hallways would confuse anyone! Bella sniffed the air, catching scents of her favorite breakfast foods like eggs and waffles. That made her hurry even faster! She got to the dining room, and Queen Katherine and King Phillip were already seated at the head of the table. “So, I’m guessing you’ve been thinking a little about tomorrow?” King Phillip asked. He shared Bella’s green eyes and brown hair. They both had pale skin. Bella had her mother’s petite build. This morning, Queen Katherine’s long, dark blond hair was in a loose braid down her back. “But we only just told you the very same thing yesterday morning!” Bella’s father laughed. “And the morning before that,” her mother said. The king, queen, and princess sat back as Thomas, one of the kitchen staff, pushed open the double doors from the kitchen and placed a plate in front of each of them. “You’re welcome, Princess Bella,” Thomas said, bowing his head. “What about the sun?” Bella interrupted. Bella could practically feel the sun’s warmth on her cheeks when she closed her eyes and pictured the map of the four sky islands that hung in her classroom. They were giant pieces of land that floated high in the clouds and were only reachable from other islands when either a rainbow or moonbow spell was cast. Then the person who cast the spell could walk on the rainbow or moonbow to the other island. Bella had traveled by rainbow once before. Never by moonbow. Walking on a rainbow felt a lot like walking up and then down escalator stairs. Bella pictured the moonbows in her head. She had seen photos of them in her textbooks. Moonbows were just like rainbows except they flowed out of the moon and lit up the night sky with color. “Then he was crowned king and our castle was built,” Bella said. She put a forkful of tasty eggs into her mouth. Bella knew River Falls was on the same sky island as Crystal. There were so many kingdoms on each island that she couldn’t name them all! “Mom, you weren’t much older than me when Gram made you queen,” Bella said. She took a bite of waffle. Bella rolled her eyes as her parents made googly eyes at each other. Ew! “What was it like when you were Paired to Kiwi and Scorpio?” Bella asked her parents. The large clock in the foyer chimed nine a.m.
Ivy and Clara had been attending the local school, but when the king and queen had seen how much Bella loved being around the two girls, they had invited Ivy and Clara to attend school at the castle along with a few other kids Bella’s age. Bella had been homeschooled by a tutor since kindergarten, and now she couldn’t imagine not having friends in her class. Bella pushed back her chair and started toward her room. Footsteps quickly followed her. “Hi, Lyssa,” Bella said, stopping and smiling. Lyssa was Bella’s companion and handmaiden. She was a few years older than Bella—fourteen—and it was her job to help Bella get dressed and do homework, and make sure she had whatever else she needed. Lyssa had been by Bella’s side for more than a year, and Bella loved her like an older sister. “Let’s get you dressed, shall we?” Lyssa asked. Together they walked to Bella’s room. The blond girl smiled, tucking her long hair behind her ears. She wore a black skirt, ballet flats, and a collared light-pink shirt. Lyssa was one of the few employees at the castle who didn’t have to wear a black uniform bearing Crystal’s seal. Lyssa had told Bella that it was because Queen Katherine wanted Bella to forget that Lyssa was a member of the staff. Bella was glad, because the seal was definitely something that wasn’t easy to ignore. The Crystal seal was a giant diamond with two unicorns below. The rearing unicorns faced each other, and they stood on a scroll that read CRYSTAL KINGDOM. Bella flipped on her closet lights and walked inside. The walls were bubblegum pink, with a coat of glitter paint that sparkled from the overhead chandelier and spotlights. Bella’s clothes, on rotating racks, spun slowly so Bella and Lyssa could choose an outfit. “Hmmm,” Lyssa said, putting a finger to her lips. “How about . . .” She plucked a light-blue dress with white hearts from a rack and held it up for Bella’s inspection. Lyssa walked to the shoe racks, nodding. “Silver is perfect, Bella.” Lyssa found the right shoes while Bella slipped out of her pj’s and into the dress. As she dressed, Bella couldn’t stop thinking about what her father had said about his friends riding Scorpio. Bella wanted her unicorn to be loyal and love her, but she also wanted to give Ivy and Clara rides. Her nonroyal friends wouldn’t get unicorns on their eighth birthdays. I don’t want them to think the unicorn is all mine and I’m never going to share, Bella thought. That is, if she was actually Paired with a unicorn. The thought made her shudder. She’d never heard of a royal not getting a unicorn, but what if, for some crazy reason, she was the first? “You’re awfully quiet,” Lyssa remarked. The older girl had pulled out a chair in front of Bella’s mirror and held a hair brush. Bella sat down, and Lyssa began brushing her hair. “What kind of help would I be if I didn’t?” Lyssa asked with a grin. “Bad help!” Bella teased back. Lyssa put her hand over her heart. “That hurt, Bella,” she said, pretending to be serious. Lyssa blew out a giant breath. “You scared me!” Laughing, she wrapped her arms around Bella. “Now I have to think about letting you wear it.” She winked at Bella. Lyssa left, headed for the classroom with Bella’s schoolbooks. I don’t know how I’m going to concentrate on school today! Bella thought. When she heard the familiar chime of the doorbell, Bella realized that the answer to her question was easy! And standing right outside the front door to her castle. Ivy and Clara, her two besties in the whole wide world, would be on Distraction Duty, starting now!